We are very pleased to announce that after getting through the nomination process, The Luxury Cruise Company has been short-listed in the "Best Cruise Agent" category in this year's Cruise International Cruise Awards, so thank you all who nominated us. But now the hard work begins - we need your votes to win! 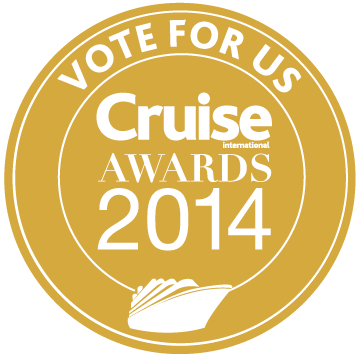 We are only a small company, up against some giants of the cruise industry, so if you always pitched for David rather than Goliath, or if you really appreciate all we that we do for our clients and the cruise industry, please vote for The Luxury Cruise Company - you could win a prize too! Thank you, we really appreciate your support. Voting closes 20 August 2014.